I’m constantly varying and improving the antioxidant intake in my diet and mornings are the best moments to create a strong antioxidant combo. Making a creative breakfast bowl is a nice way to start the day and I love putting together colorful ingredients to reach my antioxidant-rich diet goal. This also offers me the simple pleasure of contemplating the splendidly vibrant colors, especially during winter when everything is grey and dull. 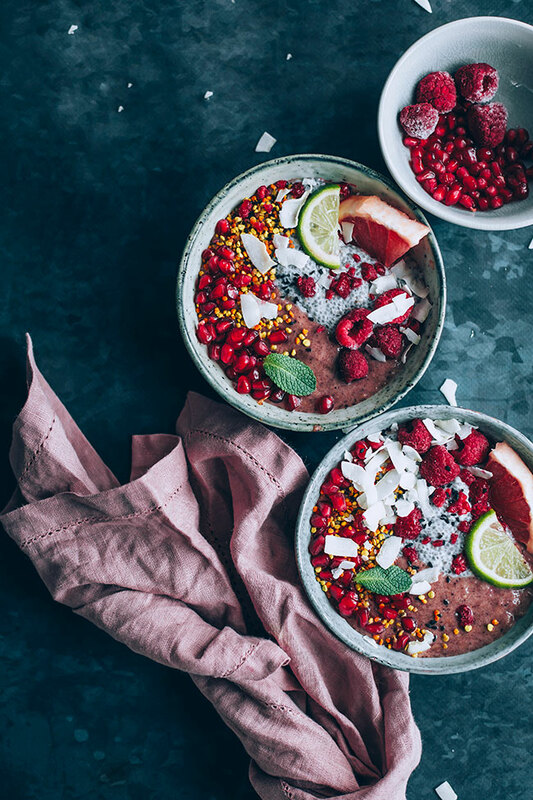 This acai bowl recipe with acai powder and all that red palette nutrients made a lovely start of an unusually very snowy day at the beginning of March. It made me see the bright side of things and also feel nourished and energized first thing in the morning. Acai berries contain higher levels of antioxidants than any other berry, and have been consumed for thousands of years by tribes through South America. Although I like to eat seasonal and local, sometimes I indulge with super foods such as Japanese matcha or Peruvian acai powder to boost my nutrient intake, especially during winter. Antioxidants are key nutrients for protecting our body cells from oxidative stress, driving out free-radicals, boosting immunity and increasing overall energy. 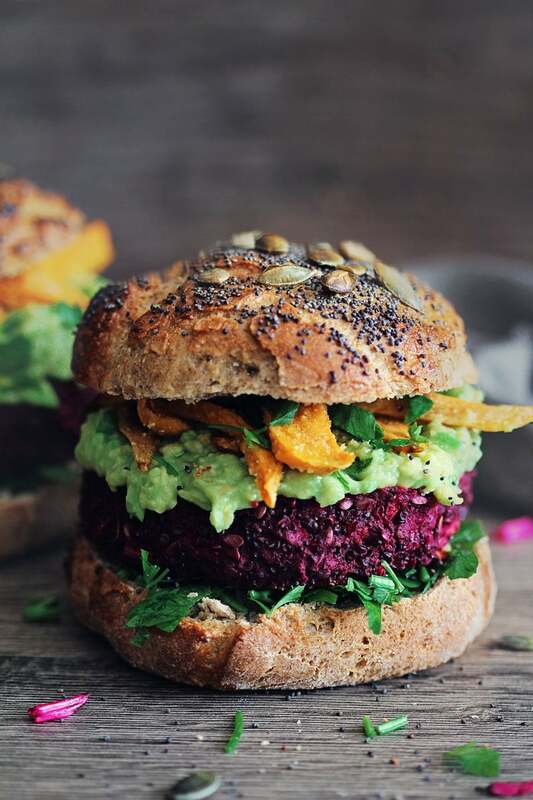 In our modern day lives, it has never been more important to consume antioxidant-rich foods, given the amount of chemicals now found in every day foods. 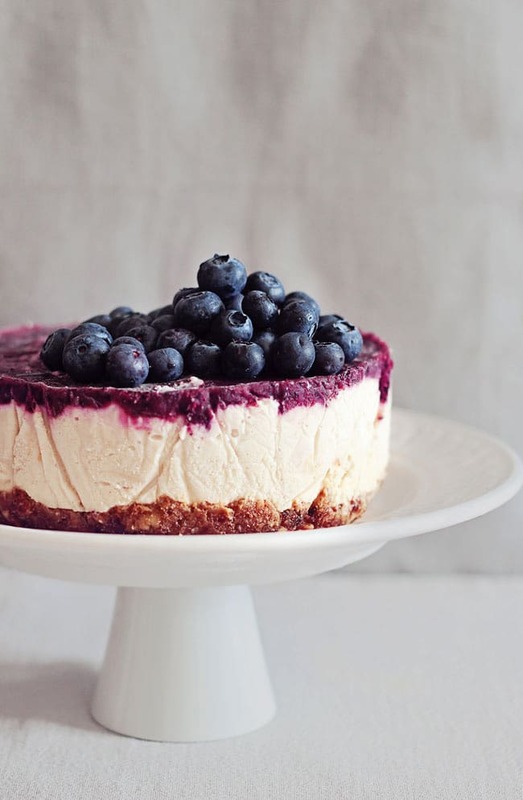 The anti-ageing health benefits of acai berries have been well touted, with the regular consumption of this super food being linked to youthful skin and a glowing complexion. 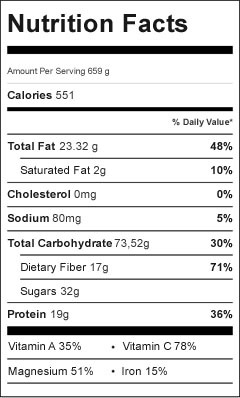 Perhaps that’s also due to the incredible nutritional profile found in these super-berries. 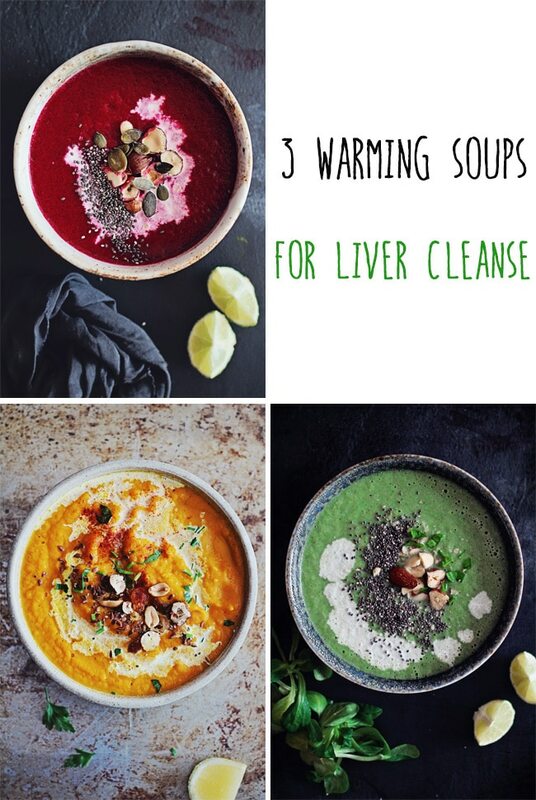 They are loaded with B-Vitamins, iron, Vitamin A, manganese and even omega-3 healthy fats. Of course you can always have the same result just by eating local fruits in season (blueberries, raspberries and strawberries are pretty much the same when it comes of antioxidants, and even a humble apple is packed with antioxidant vitamin C), but every now and then you can offer your skin and liver an exotic treat such is this vegan acai bowl. This recipe brings together some of my favorite morning treats – chia seed pudding, for an extra boost in omega-3 fats and fiber, maca powder for balanced hormone production and enhanced mood, home-made nut butter for a good dose of minerals and healthy fats and bee pollen for sustainable energy throughout the day. 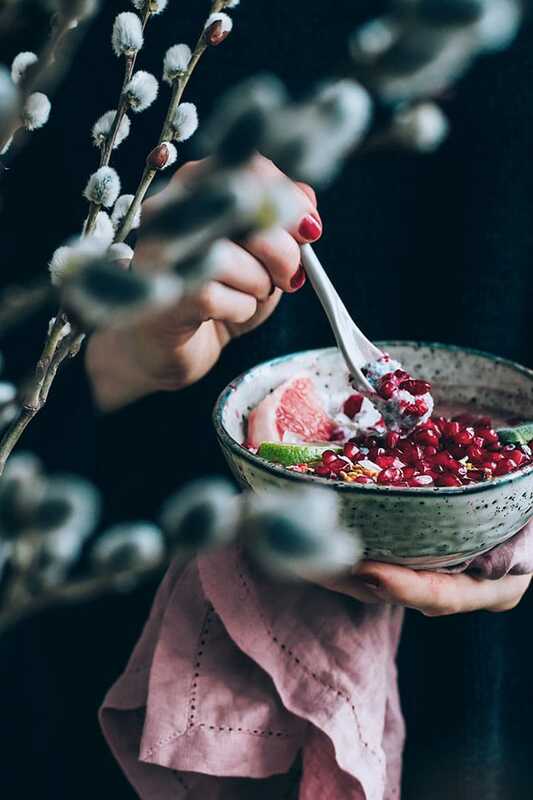 I love adding bee pollen in my breakfast bowls especially in early spring because it is packed with vitamins and minerals, while also having anti fungal and antiviral properties, so it’s just what my body needs for getting refreshed. 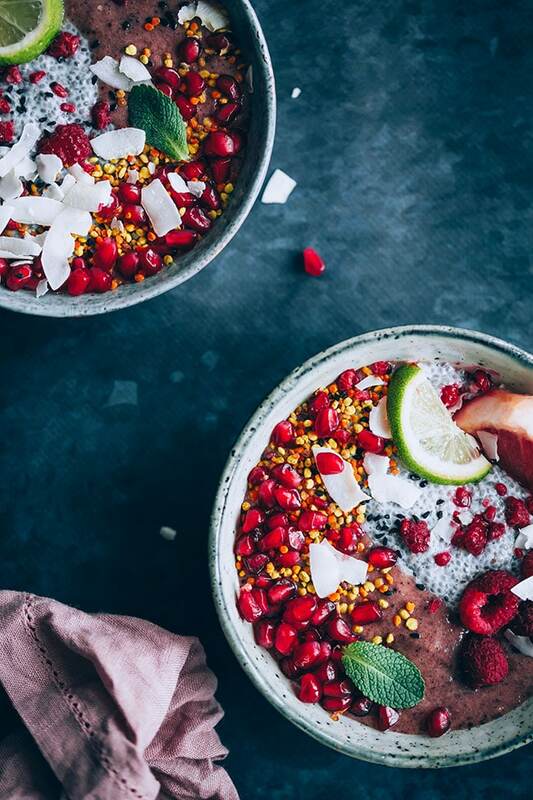 If you’re looking for more creative ways to kick start your morning you can try my Chia, Acai and Strawberry Layered Breakfast Jar, my Green Smoothie Bowl or the Superfood Chia Pudding . 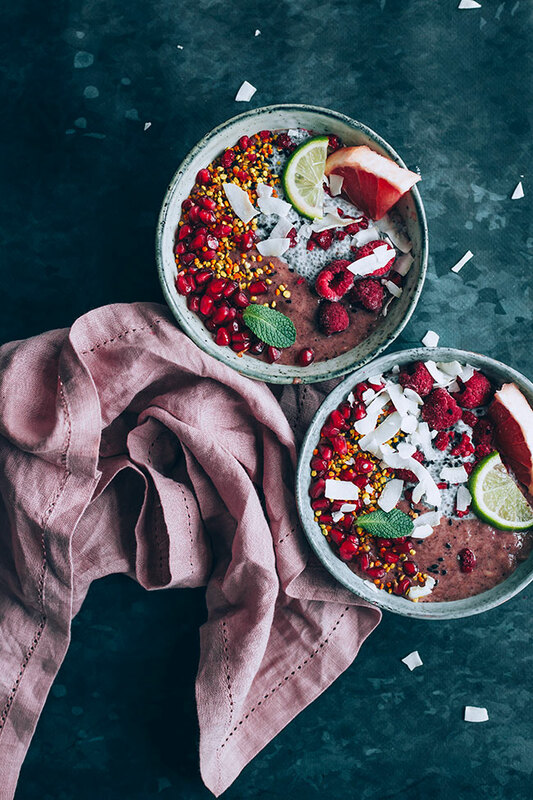 A colorful and delightful way to start the day, this acai bowl recipe combines the super antioxidant power of an exotic ingredient, the acai powder, with nutrient-packed ingredients, such as chia seeds, nut butter and fresh fruits to create an energizing and nurturing combo. Combine the chia seeds and almond milk into a medium bowl and set aside for 15 mins, allowing the seeds to absorb the liquid. Add the smoothie ingredients into the blender and process to obtain a dense, creamy mixture. 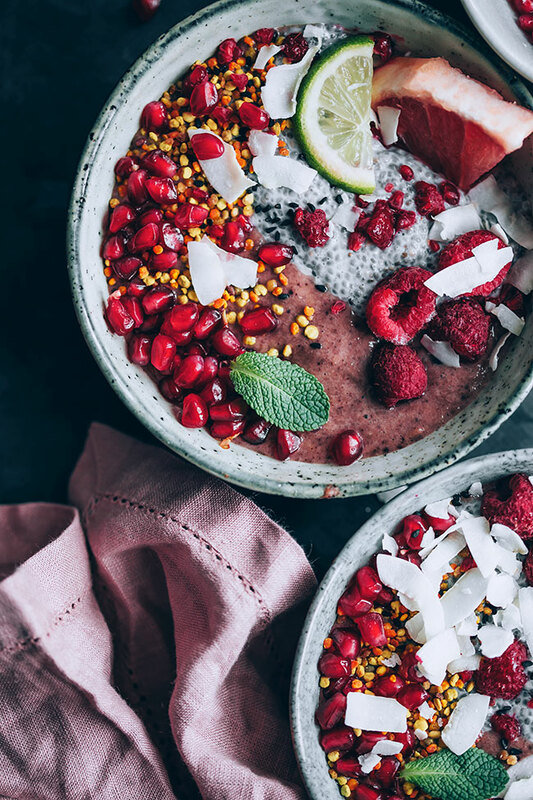 Divide the smoothie into the serving bowls then add equal parts of chia pudding, and top with your favorite super foods. 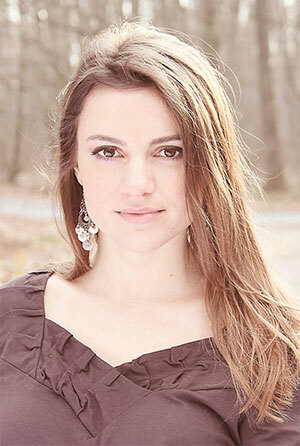 Ana, I’m so happy I found your profile. Your photography is amazing!